Léargas manages exchange and cooperation programmes in the formal, non-formal and informal education, training and youth sectors. For a full description, see the Programmes section of this website. For an overview of the different roles and responsibilities in Léargas, see Meet the team. In managing programmes, we gather information from applicants and beneficiaries which is stored online in European Commission databases and locally in the Léargas office. Responses to RFIs by National Authorities and other public bodies. Observations and responses to National Authorities. Much of this information is not shared publicly: staff in Léargas, the relevant government departments, the European Commission and other agencies and evaluators with whom Léargas works have access to the information for work purposes. Information on funded organisations is provided on our website (for example here), as required by programme rules. Project details are also shared publicly on the European Commission’s Project Results Platform. Contact details of organisations are not displayed on this platform unless the organisation itself has chosen to do so. Governance and management of Léargas are described here. The Léargas strategy for 2018-2020 is available here: Strategy Statement. Links to other agencies: the NCGE operates under the aegis of Léargas. A draft SLA is currently under review by the Department of Education and Skills and will be published here when approved. Customer Charter: see the Léargas Quality Customer Charter. Léargas manages exchange and cooperation programmes in the formal, non-formal and informal education, training and youth sectors. For a full description, see the Programmes section of this website. For most programmes, there are deadlines each year by which you must apply for funding. See each programme’s section for more detail. To contact us, check the Meet the Team page or the Contact & Support section for each programme. For most programmes, there is no cost; IAESTE requires an application fee. We administer the programmes according to European Commission and/or Departmental guidelines. For more details, see each programme’s ‘How to’ page. The appeals process for Erasmus+ is detailed here (scroll down the page). We also operate under the guidelines of the Office of the Ombudsman. 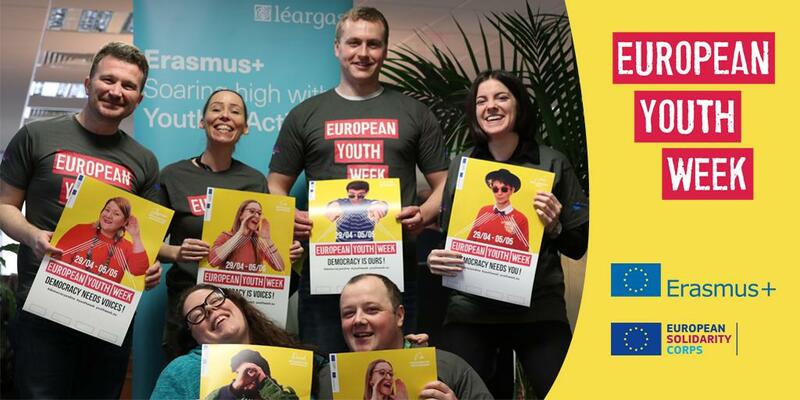 Together with NUI Maynooth, Léargas is part of the RAY Network which is carrying out research into the impact of the Erasmus+ Youth in Action funding stream. You can read more about this on the Léargas blog. Financial statements for Léargas are included in each year’s Annual Report. Plans for Capital Expenditure: N/A at present. Payments for goods and services. N/A at present. Board members do not receive remuneration; details of their travel and subsistence expenses are included in each year’s Annual Report. Procurement policies: Léargas follows the guidelines set by the Office of Government Procurement. Léargas uses the eTenders website as required. Public contracts awarded. One public contract awarded in 2016. Léargas reports regularly on its FOI requests to the Department of Education and Skills. Reports: Léargas publishes Annual Reports each year. Lists of Erasmus+ funded projects are available on this site, each published under the ‘Funded projects’ menu item (e.g. for Erasmus+ School Education>Funded Projects). The Léargas remit does not include making decisions on policy in the areas of education or youth work. However, Léargas provides input into policy making at both national and European level as requested by the relevant Government Departments or the European Commission. For more information on relevant policies check the Policy section of our Resources page. Section 8 of the Freedom of Information Act 2014 requires FOI bodies to prepare and publish information in conformity with a model publication scheme or guidelines made by the Minister. This page contains such information, organised into tabs above.